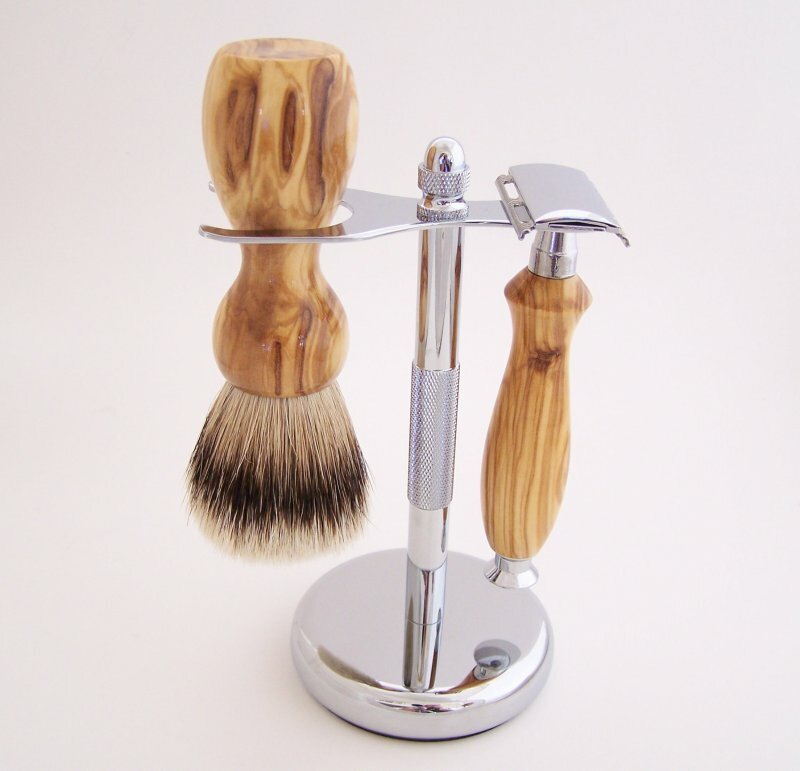 This set includes a custom Olivewood 20mm Super Silvertip hair shaving brush, Double Edge (DE) safety razor and chrome stand. Super Silvertip knots have natural soft white tips that give the knot a luxurious feel. Super Silvertip is the highest grade Silvertip I carry and is an upgrade over my Super Badger and Standard Silvertip Badger. If you want the best, Super Silvertip is what you want. The knots are nicely packed and they have good backbone. 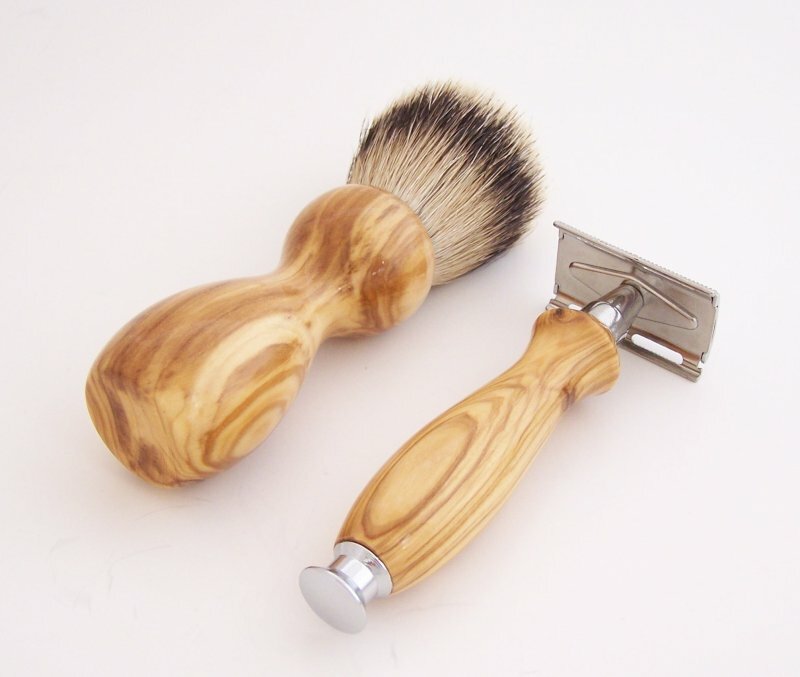 The shaving brush is 5 1/4" tall. The DE Safety Razor head components and tail piece are chrome. The DE Safety Razor is a 3 piece stamped steel design. The two piece head unscrews from the handle for blade replacement. This entry level DE razor provides a non-aggressive shave that is good for either the new or experienced wet shaver. 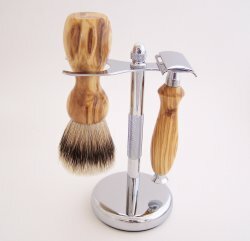 If you're new to wet shaving and are looking for a cool little razor this is a perfect fit for you or your loved one. The handle with DE Razor head is 4 3/8" long (1.8 ounces). The custom set pictured is the set you will receive.